From its inception, Thailand Knowledge Park has been heavily involved in its main mission: to foster a learning society through the development of “living libraries”, instill reading habits, encourage the search for knowledge and inspire creativity. Our annual seminars are part of the effort to develop a creative learning bent. TK Park has organised academic seminars every year since 2005 when it was formally established. In 2009, TK Park initiated its “TK Forum”, a public venue aimed at intellectual interaction with practitioners in the field of reading and learning promotion from more than 50 associate organisations. 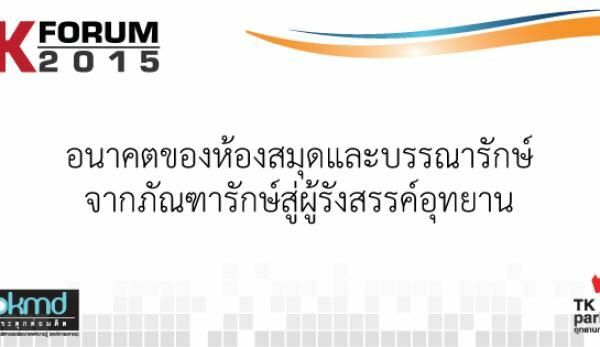 The concept of TK Forum is to extract a body of knowledge and turn it into policy proposals. In 2010, TK Forum expanded its efforts at knowledge-sharing from the local groups to a study of the practices used in countries such as Sweden, South Korea and Japan, which succeeded in implementing more robust reading promotion policies. 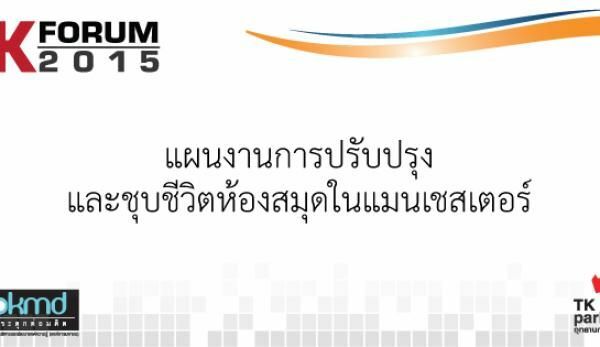 From 2011 to 2013, TK Park gained impetus in its push to instill reading as part of the preparation of young Thais for adulthood and to become citizens of the ASEAN Community, with the concept “Towards ASEAN Citizenship with Books and Reading”. The scheme concentrated on creating awareness and fostering academic cooperation on reading and the development of learning sources among the ASEAN nations. Three annual academic conferences were held during this period. The meetings began as a pilot project and contributed to a survey of the knowledge and experiences of agencies tasked with implementing learning and reading promotion policies in Thailand and the other 9 ASEAN nations. In 2014, TK Park focused on expanding the body of knowledge in public education and learning to take in the changes in global information technology and the new generation’s behavior in seeking knowledge. With the “Digital Generation” in mind as a key driving force for the country’s development, the agency launched a campaign under the theme of “Learning in the Digital Era”. It sought to answer the questions of exactly who is the digital generation, what are their peculiar characteristics and what methods are they using to learn, as well as to determine if existing learning systems or structures in the digital age should be improved or changed, and in which direction? It also demonstrated learning concepts and innovations designed to inspire the digital generation. To mark its 10th year anniversary in 2015, TK Park in January launched an exhibition called “Dare to Dream” and produced a book, “Tem Sib”, to summarise knowledge and changes in the social, economic, political and technological sectors that have affectedthe promotion of reading in Thailand over the past 10 years. 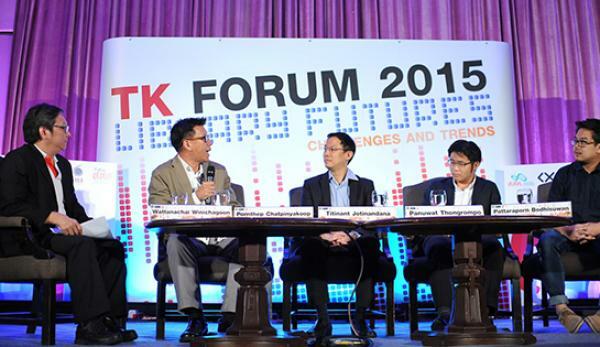 A TK Forum will be held in July under the theme “Library Futures: Challenges and Trends” which will discuss changes in the use of public learning spaces and libraries in foreign countries and analyse the factors that contributed to such changes. There will be exchanges of ideas on likely trends in the use of public learning spaces as sites to develop people, communities and societies. 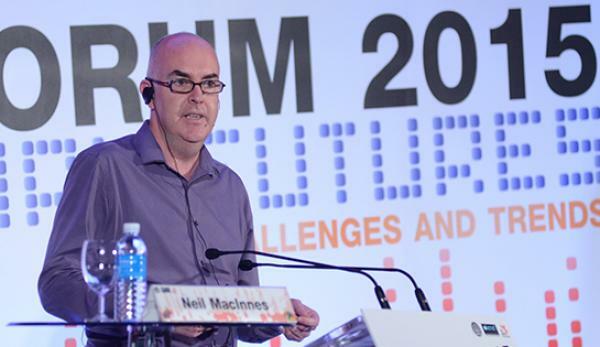 New ideas and inspiration gained from the forum can then be applied to the Thai context. 1. To foster cooperation, exchange experiences, build a body of knowledge about reading and reading promotion, and the development of learning resources and learning systems. 2. 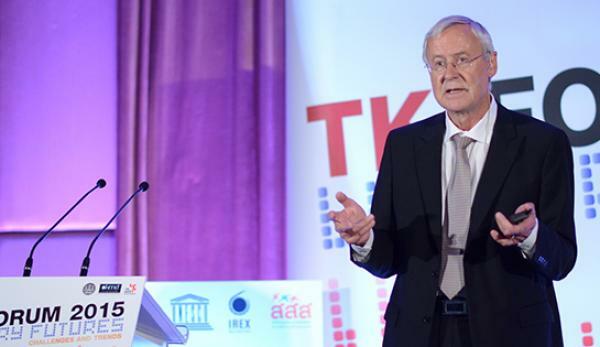 To support policy-makers, academics, and experts, as well as social activists, in disseminating or developing further the knowledge, ideas and proposals gained from the TK Forum, as well as facilitating constructive tangible changes. 1. Administrators of public learning venues operated by governmental agencies and local administrative bodies. 2. Librarians, teachers and academics. 3. Policy makers in the public sector, executives in the private sector or non-governmental organizations, and social activists working to promote reading and learning and develop learning sources. Thursday, July 16, 2015, Arnoma Grand Bangkok Hotel, Ratchadamri Road. 1. To expand knowledge on reading promotion and develop learning sources. Facilitate career development or academic references. 2. Raise awareness of the topics among agencies that implement concerned policies, and associate organizations in reading promotion, so that they adopt the knowledge, ideas and proposals for the sake of the public interest. 3. Establish a network of academic cooperation involving local and international agencies.